Freezing Rain Advisory. Rain freezing on contact with cold roads, trees and powerlines may produce 1/10th inch of glaze ice Sunday morning. 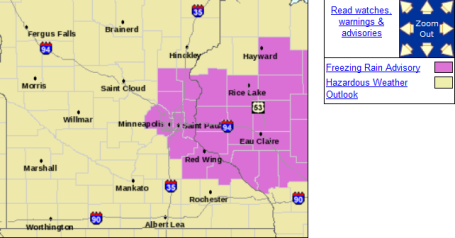 The advisory includes the metro, in effect from 3 am to 9 am Sunday morning. Be careful out there - especially first thing Sunday morning. By late morning temperatures should be above 32 F, meaning mostly-wet roads. White Thanksgiving. It was inevitable - like gravity, taxes and controversial banter on talk-radio. It will snow before Thanksgiving. In fact it could be a lot of snow. My favorite college professor would admonish us not to even THINK about putting an inch amount on a pending storm more than 36-48 hours before the onset of snow. But he's in Pennsylvania, and probably doesn't read this blog. My gut: 3-6" next Wednesday, maybe a band of 8" over northern MN. Unlike a week ago this will NOT be the heavy, wet, slushy (cement-like) snow that plastered trees with globs of white. This will be light, powdery - easy to get off the driveway and sidewalk. The only problem: it'll be cold (teens with a wind chill near zero). That could mean some VERY slippery roads by Wednesday. Plan accordingly - this storm WILL impact Thanksgiving travel plans. The good news: we dry out Thursday, it should be dry for "Black Friday" shopping expeditions, and right now I don't see any huge meteorological messes trying to get home the weekend after Thanksgiving. Great timing, huh? Potentially Plowable. 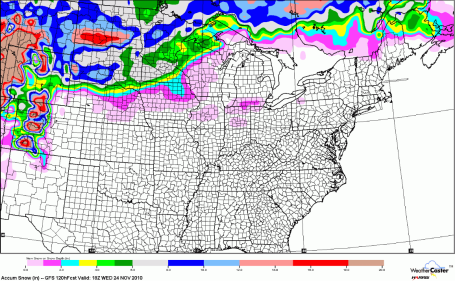 By midday Wednesday the GFS model prints out a stripe of 3-6" snow across central MN, as much as 8-10" over northern MN. The timing is still (very) tricky, but the arrival of Arctic air WILL set off a period of snow Sunday & Monday (1-2"), another, more significant accumulation Wednesday into Thursday morning, a few separate "bursts" of snow - the best chance of enough to shovel & plow probably coming north/west of the Twin Cities. Wednesday Headaches? This is why most meteorologists are neurotic. The same model (same physics), 2 different runs, separated by 6 hours, and they're 6" apart. 3" or 9"? My gut: somewhere in between, probably in the 4-6" range, but this early in the game that's sheer guesswork. It won't take moisture or upward motion (with a temperature in the teens - to produce a quick pile of light, fluffy, powdery snow). The Big Tumble. No, we're not kidding - it's going to get really, really cold next week. January-cold. Hair-curling, battery-draining, call-your-travel-agent cold. By Thanksgiving Day highs will be stuck in the teens - a good chance of subzero lows Friday morning in the outlying suburbs of the Twin Cities. Man, this is all happening way too fast. * Travel Alert. We're still days away from any formal winter storm watches being issued, but I still have a very strong hunch we'll be grappling with enough snow to shovel and plow Wednesday of next week. It may be in the 3-6", with a band of 8" nearby - even if it's just a couple of inches the fact that temperatures will be in the teens is problematic. When it's this cold the chemical mixture used by MnDOT road crews isn't nearly as effective. Powdery snow can be compacted into a thin layer of glaze ice, No matter how hard they try, MnDOT crews can have an impossible task when it's that cold - even the freeways may be snow/ice-covered by the middle of next week. Hope I'm wrong - but I have a very strong hunch we'll be slipping and sliding, especially Wednesday. Utah Powder. 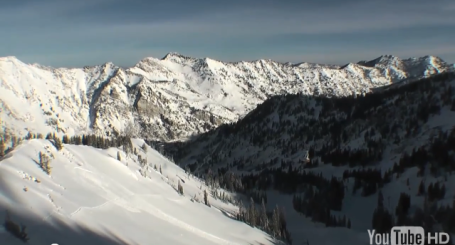 It's enough to make a skier, snowboarder or snowmobiler salivate (uncontrollably). Peruvian Gulch (at the Snowbird Ski Resort) has already picked up a healthy 76" of powder - and more heavy snow is on the way. An omen for Minnesota snow-lovers? I'm starting to think that may be the case. The YouTube footage is here. 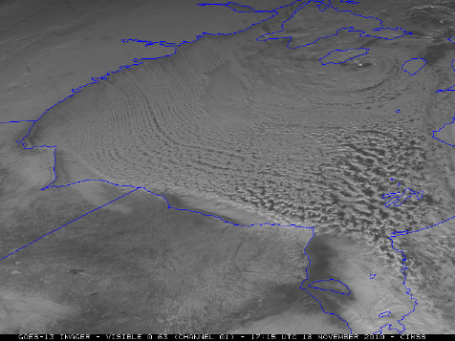 Ice Forming Rapidly On Hudson Bay. The University of Wisconsin CIMSS Weather Blog has more details on the sudden formation of ice on Hudson Bay, 1-2 weeks ahead of schedule. A chunk of this bitter, almost January-like air will sail over Minnesota next week. Details here. A Better Way To Sandbag? Now here's an invention that emergency officials in the Red River Valley may be able to take advantage of, since it seems to flood just about every spring. 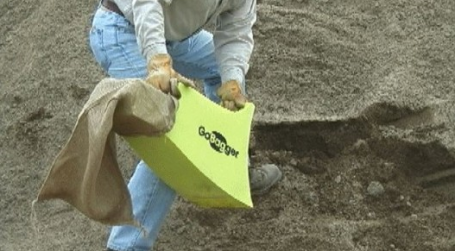 The "GoBagger" can fill up sandbags 5 times faster than doing it by hand, the old fashioned way, according to gizmag.com. Talk about a crazy Christmas gift for that special someone! Ultimate Christmas Gift - The Flying Car. 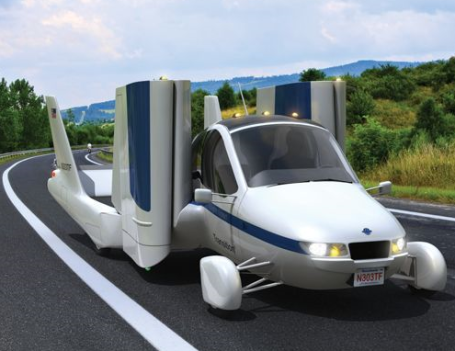 If you're looking for something unique for that hard-to-buy-for relative (who just happens to have a Sport Pilot Certificate, consider the "flying car", exclusively in the Hammacher Sclemmer Christmas Collection. It flies at 115 mph, drives along on highways (foldable wings) at over 65 mph, can store conveniently in that third garage stall. All it takes is $350,000 in cold cash and it can be yours. Right. Last Above Average Day For Some Time? A mild southerly wind component ahead of an Alberta Clipper warmed us up today, highs ranged from 37 in St. Cloud and 39 in the Twin Cities to 41 at Grand Marias. International Falls picked up 1.4" of snow. The perils of an early season snowfall. The 8+" of cement-like snow that fell 1 week ago has melted down to a "trace", a few piles of dirty snow. Mild soil temperatures combined with daytime highs above freezing resulted in a predictable, slow-motion meltdown. A cold, travel-friendly Saturday is shaping up, an increase in clouds & falling barometer tip-offs of yet another slushy encounter Sunday. Wet snow changes to rain tomorrow, a slushy half inch or inch here, enough to plow near Duluth (2-4"). Speaking of "plowable" snow, the models are hinting at a few inches of powder by the middle of next week, conveniently timed just before Thanksgiving. Confidence is still rather low, but the approach of a January-like airmass may squeeze out "bursts" of powdery snow Monday through Wednesday. Close to home I wouldn't be surprised to see some 4"+ amounts before Thanksgiving. The problem: the chemicals MnDOT uses on area highways works much slower when it's colder than 20, meaning a potential for VERY slippery conditions the middle of next week. Getting home should be easier: no post-Thanksgiving slop-storms brewing, but next Thursday may be the coldest Turkey Day since 1989. 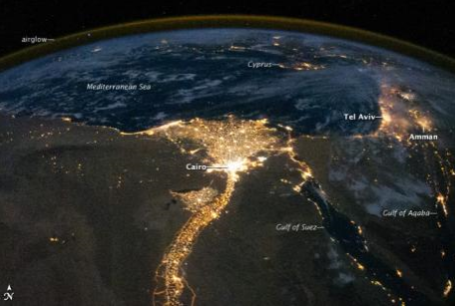 Earth's Major Cities From Space. Every once in awhile a truly spectacular series of images comes along - and this post definitely caught my eye. I've always been struck how, flying 35,000 feet above the ground, cities appear more orange than white at night. That same eerie, orange glow shows up in low Earth orbit, roughly 220 miles above the ground. Environmentalgraffiti.com has gotten their hands on some eye-opening photos from NASA - the details are here. "Snowstorm" In Space. An interesting story from AOLnews.com: "A NASA spacecraft has captured dramatic images of a comet creating its very own snowstorm, a swirling blizzard containing globs of snow as big as basketballs. "To me this whole thing looks like a snow globe that you've just simply shaken," Brown University's Pete Schultz, one of the scientists analyzing the new footage of the comet, "Hartly 2", said at a news conference today. When researchers saw the first clear images, "our mouths just dropped," he said. 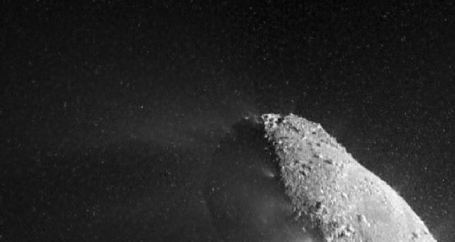 "We realized we had a cloud of snow around the nucleus," or center, of the comet, said chief scientist Michael A'Hearn of the University of Maryland. "We were astounded." Update from NOAA, click here for details. For the year-to-date, the global combined land and ocean surface temperature of 58.53 F (14.73 C) was tied with 1998 as the warmest January–October period on record. 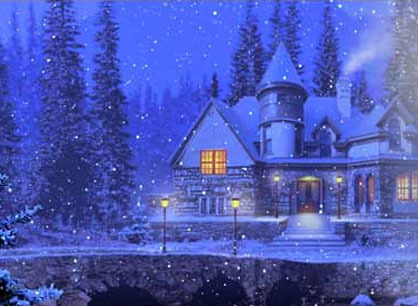 This value is 1.13 F (0.63 C) above the 20th century average. Moderate La Niña conditions continued in October, while sea surface temperatures remained below-normal across the central and eastern equatorial Pacific Ocean. According to NOAA’s Climate Prediction Center, La Niña is expected to strengthen and last at least into the Northern Hemisphere spring of 2011. The average Arctic sea ice extent for October was 2.97 million square miles (7.69 million square km), which was 17.2 percent below average. This marks the third lowest October Arctic sea ice extent since records began in 1979 and the 14th consecutive October with below-average Arctic sea ice extent. Antarctic sea ice began its annual retreat during October. October 2010 was the fourth largest sea ice extent on record (2.9 percent above average). The largest October sea ice extent occurred in 2006. According to Mexico’s National Weather Service (Servicio Meteorolológico Nacional), this October was Mexico’s driest since 1941. North and west Amazonia in Brazil was in the midst of its worst drought in the past 40 years. In October, one of the Amazon River’s most important tributaries, the Black River, dropped to its lowest level of 44.7 feet (13.6 meters) since record keeping began in 1902. As Arctic Temperatures Rise Tundra Fires Increase. 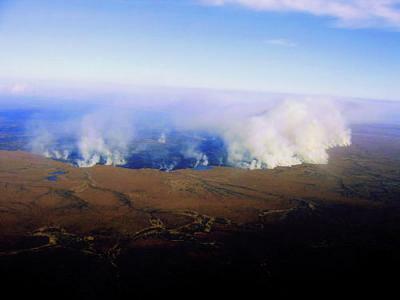 Sciencedaily.com has a report documenting an apparent increase in fires in the northern tundra region of the arctic - warmer, drier conditions leaving vegetation more vulnerable to brushfires. Many of these extreme northern location are experiencing more incidents of lightning, which can trigger fires that take weeks, even months to extinguish. The complete story is here. 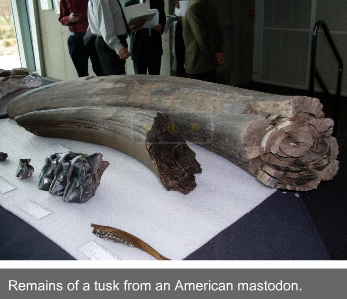 Ice Age Fossils Offer Clues To Climate Change Puzzle. KUNC (public radio) in Denver has an interesting story about using fossil records to extract clues of previous climates, many millions of years ago. Recently over 600 fossils dating back to the last Ice Age were discovered near the Snowmass Ski Resort - the implications for climate science may be significant. The story (audio) is here. Paul Douglas: Icy Sunday - Wednesday Blizzard?